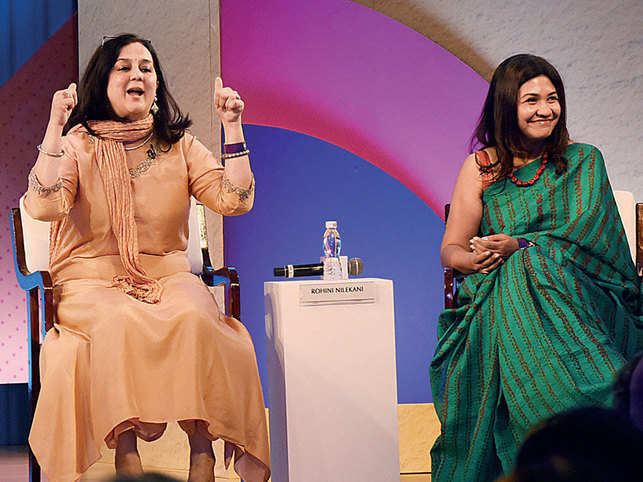 Powerful female entrepreneurs have a message for India’s wealthy - 'start giving more to society'. For the country’s successful female entrepreneurs who are also wives of business leaders, philanthropy is not just a “little hobby” that they are pursuing. It’s about strengthening institutions that serve society and taking on more “risky” philanthropy. “When I first started, I never told anybody who I was and it was much, much easier… The moment they came to know I was Rashesh’s wife, I got the reaction that ‘the chairman’s wife is doing her little hobby,’ even though I had my education to show for it,” said Vidya Shah, CEO of EdelGive, the corporate social responsibility (CSR) arm of the Edelweiss Group. Shah is married to the group chairman Rashesh Shah. However, for Rohini Nilekani, founder of Arghyam Foundation, the path was easier as she had invested her own money in Infosys. She conceded that women find it more difficult when it is not their money that they are committing to a cause “and women need to break out of it”. According to Oxfam, Indian billionaires have added Rs 2,200 crore per day to their wealth while the poorest in the country remained in debt since 2004. In a recent report on inequality by the organisation, India ranked 147 out of 157 countries in the “commitment to reduce inequality index” and 151 on the index for public spending on healthcare, education and social protection. “The state needs ideas, too, and it needs us for us to find areas it cannot fund,” said Shah, adding that there is a need in India’s public policy schools for a “homegrown” understanding of the subject as most people with knowledge of it receive their education abroad. But the reality remains that most people in India inclined to associate themselves with a cause do not have the financial wherewithal to do so. Kiran Nadar, founder of the Kiran Nadar Museum of Art, said that “engagement with a cause” is the key. “They may not be having the money but they can put in their time and get involved with it and later on when they have the money they can work towards funding it,” Nadar said. However, Nadar acknowledged that there is a “lack of philanthropy” with fewer people who want to “give” and that number needs to increase. “The times of Raja Harishchandra have ended,” said Nadar, adding that she looked up to her husband, Shiv Nadar, founder of HCL Technologies, as her biggest inspiration for all her philanthropic ventures. This panel was moderated by Sagarika Ghose, consulting editor, TOI.